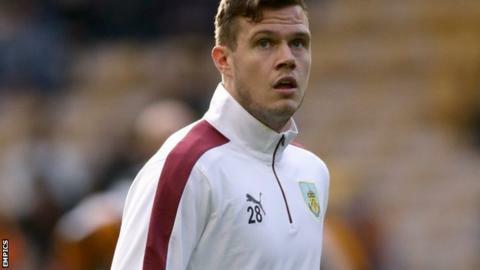 Barnsley have signed Burnley defender Kevin Long on a one-month loan deal. Long, 25, has not featured for the Clarets this season after suffering a ruptured cruciate ligament in his Premier League debut against Newcastle in January. He could make his debut for the Tykes, who are currently 23rd in League One, in Saturday's trip to Oldham. "I'm itching to play. The gaffer here is a genuine guy and I know one or two of the lads," he told the club website.